All Posts re: Missing Malyasian Flight #370 are "Landing Here"
Note: Diego Garcia is within this triangle .... to the northeast of Madagascar, and below the Maldives. Has Anyone Looked Into THIS Triangle? The captain of missing Malaysia Airlines flight MH370 received a two-minute call shortly before take-off from a mystery woman using a mobile phone number obtained under a false identity. It was one of the last calls made to or from the mobile of Captain Zaharie Ahmad Shah in the hours before his Boeing 777 left Kuala Lumpur 16 days ago. 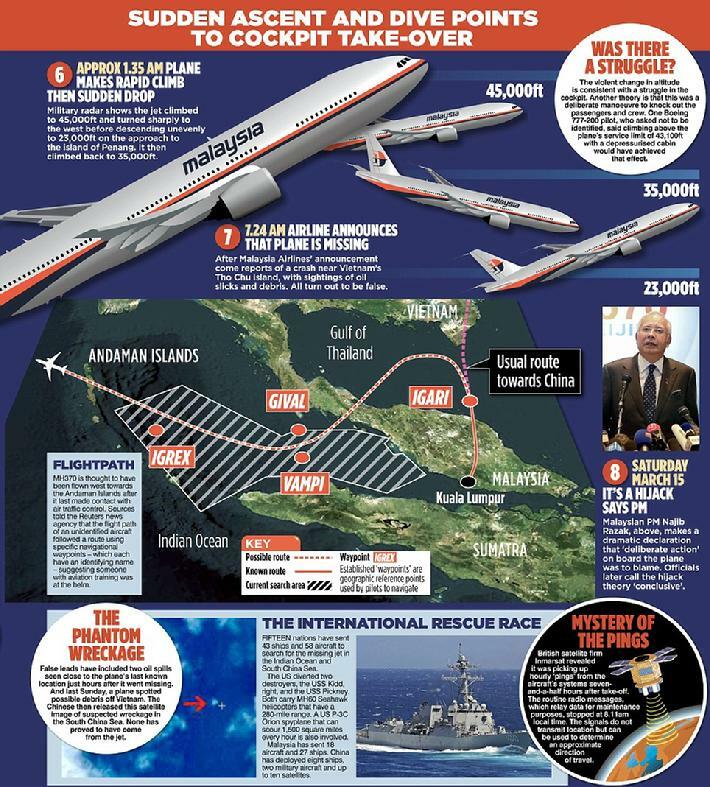 MISSING MALAYSIAN PLANE: "THE FREESCALE FACTOR" - This from Dutchsinse: 20 RF Plasma Scientists on Board Jet: a jet loaded with 20 people from a company which specializes in Radio Frequency Plasma generation, laser exciters, and HF/VHF/UHF RADAR , would itself “disappear” on RADAR …. Also, aside from the Radio Frequency aspect of things, let's not forget to mention the company just announced a breakthrough in microprocessors / semiconductors days before the jet went “missing”. Freescale Semiconductor on Tuesday introduced its smallest-ever ARM-based microcontroller unit (MCU) for embedded devices in the Internet of Things (IoT) market, the Kinetsis KL03. The chip maker is billing the KL03 as “smaller than a golf ball dimple” —the 32-bit MCU with an ARM Cortex-M0+ computing core shrinks the preceding KL02 unit by 15 percent in a package that measures just 1.6-by-2.0 millimeters. The KL03 is also 35 percent smaller than any competing Cortex-M0+ microcontroller on the market, according to Freescale. The chip maker is showcasing its new MCU at Embedded World in Nuremburg, Germany this week. Possible uses for the new MCU in the burgeoning IoT space range from placement in embedded smart home systems, wearable tech products, and industrial devices to exotic applications like pairing the KL03 with a simple sensor array in a small pill that could be swallowed and provide health data to doctors, Kumar said. The Kinetis KL03 will be sampling to Freescale partners in March for testing with the FRDM-KL03Z Freescale Freedom development board with assorted developer tools. The MCU will be made available at volume for $0.75 per unit in 100,000-unit quantities beginning in June, the company said. The KL03′s 48MHz ARM Cortex-MO+ has a bit manipulation engine for “faster, more code-efficient handling of peripheral registers,” according to Freescale. The tiny MCU has 32KB of flash memory, 2KB of RAM, and 8K of ROM with an on-chip boot loader, with high-speed 12-bit ADC and a high-speed analog comparator. It operates on a 1.71-3.6-volt charge and utilizes low-power wake up and other low-power modes for different tasks. 1:19 AM - "All right, good night" sign-off - At 1.19am, shortly before leaving Malaysian airspace, co-pilot Hamid said ‘good night’ to his home country’s air traffic control. This informal hand-off went against standard radio procedures, which would have called for him to read back instructions for contacting the next control centre and include the aircraft's call sign. 1:20 AM: Transponder goes dark. Flight 370's transponder, which allows air traffic controllers to identify and track the airplane, ceased communicating at 1:20 a.m.
1:30 AM: fisherman Azid Ibrahim, 55, who saw a bright light streaking overhead at 1.30am on Saturday, about 100 miles south of where Mr Alif (below) had seen the light. 2:14 AM: Flight 370 Malaysian military radar detected Flight 370 at 2:14 a.m. heading toward the strait. 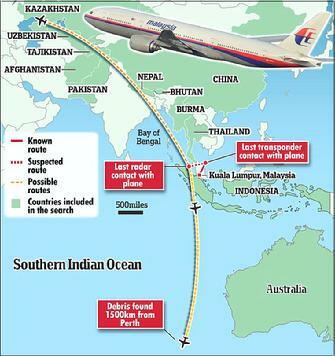 NOTE: Investigators told a Malaysian newspaper that the Boeing 777 had dropped to a lower altitude - under 5,000ft - to avoid ground radar, using the surrounding terrain as a sonar barrier. This type of flying is considered to be dangerous and risky, because it places tremendous pressure on the frame of the aircraft - and flying low at night without radar assistance could lead to the plane crashing into trees or mountains. WASHINGTON (AP) — A U.S. official says a Malaysia Airlines plane was sending signals to a satellite for four hours after the aircraft went missing, an indication that it was still flying. The official said the Boeing 777-200 wasn't transmitting data to the satellite, but sending out a signal to establish contact. Boeing offers a satellite service that can receive a stream of data during flight on how the aircraft is functioning. The official, who spoke on condition of anonymity because he wasn't authorized to speak publicly, said Malaysia Airlines didn't subscribe to that service, but the system was automatically pinging the satellite anyway. The official also said some messages involving a different data service were received for a short time after the plane's transponder went silent. 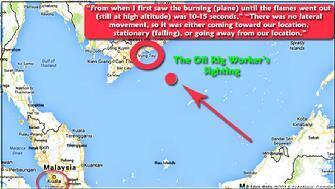 The jet was originally headed for China, and its last verified position was half way across the Gulf of Thailand. O.K. ; This one gets weird. FlightAware has limited coverage in this area. Once the plane left its coverage area; its tracker had no more postings ... UNTIL ... one of its affiliates picked up these 3 signals....ON March 9th! The investigators believe the plane flew for a total of up to five hours, according to these people, based on analysis of signals sent by the 777's satellite-communication link designed to automatically transmit the status of certain onboard systems to the ground. Throughout the roughly four hours after the jet dropped from civilian radar screens, these people said, the link operated in a kind of standby mode and sought to establish contact with a satellite or satellites. These transmissions did not include data, they said, but the periodic contacts indicate to investigators that the plane was still intact and believed to be flying. The transmissions, this person said, were comparable to the plane "saying I'm here, I'm ready to send data." EVER PLAY CHINESE CHECKERS? The basic strategy is to create or find the longest "hopping" path that leads closest to home ... hindering opposing players ... while filling your home corner with pieces. The player with the most captured pieces is the winner. Ooops ... guess China's State Administration for Science, Technology and Industry for National Defense made a boo-boo. Event Dial also showed: "Death Tolls, An Aftermath, People in Need of Rescue from Fire or Water - (At the moment of the incident, Pluto was exact the ASC/MH midpoint) Also: indicated is: "The minute of death"
In the event chart, Saturn/Admetos = Moon (01' orb): "People prevented from moving, facing big troubles"
- Dames says its at the bottom of the deep blue sea after a cockpit fight between the 2 pilots (Shah being the bad guy). Note: The plane was re-programmed for that left turn while in the air. Somewhere In Between? Or: Didn't even get that far? 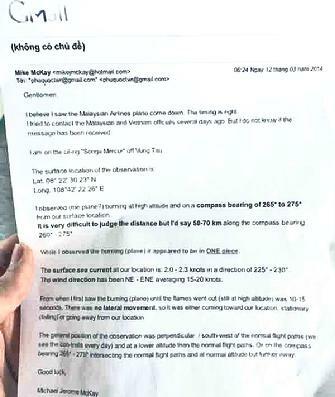 ABC News correspondent Bob Woodruff has obtained a letter that an oil rig worker in Vietnam wrote to his employer claiming he saw Malaysia Airlines Flight 370 go down in flames. The letter, by Michael Jerome McKay, alleges that he observed the plane “burning at a high altitude” while he was aboard the oil rig “Songa Mercur” off Vung Tau. He notes that the plane appeared to be in one piece. The Model 777–200, –300, and –300ER series airplanes have fly-by-wire controls, software-configurable avionics, and fiber-optic avionics networks. The proposed architecture is novel or unusual for commercial transport airplanes by enabling connection to previously isolated data networks connected to systems that perform functions required for the safe operation of the airplane. This proposed data network and design integration may result in security vulnerabilities from intentional or unintentional corruption of data and systems critical to the safety and maintenance of the airplane. The existing regulations and guidance material did not anticipate this type of system architecture or electronic access to aircraft systems. Furthermore, regulations and current system safety assessment policy and techniques do not address potential security vulnerabilities, which could be caused by unauthorized access to aircraft data buses and servers. First the plane changed course ... THEN, "went dark"
Four Passengers sought: 2 found to have used bogus passports. Both passports stolen in Thailand at different times. Both show up on this flight at the same time. NOTES: Consensus under discussion: No way this particular plane with its particular configurations & equipment, could have gone to ZERO transmission ... when & how it did. Both pilots AND the plane itself, would have had to be out of commission .... AT THE SAME TIME. Sabotage not being ruled out. The plane actually lost contact 40' after take-off .. at 35,000 feet. A group of a 10 Vietnamese island archipelago is current site of possible location. A Malaysia Airlines flight carrying 239 people from Kuala Lumpur to Beijing went missing over the South China Sea on Saturday, prompting China to send ships to scour the water for possible wreckage. Flight MH370 departed from Kuala Lumpur at 12:41 a.m. Saturday local time, according to a statement from the airline. It was scheduled to land in Beijing at 6:30 a.m. The plane last had contact with air traffic controllers two hours after it took off 120 nautical miles off the east coast of the Malaysian town of Kota Bharu, the airline said on Saturday. Malaysian and Vietnamese authorities were working jointly on search operations in the area. China has dispatched two maritime rescue ships to the South China Sea to help in rescue work, state television reported. 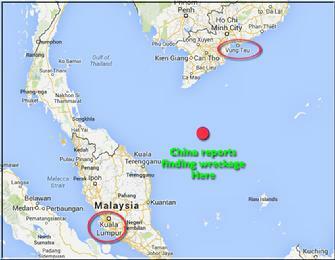 Last known position of MH370 before it disappeared off the radar was 06 N 55' 15" / 103 E 34' 43" East . The claim about the known location of the aircraft by the Vietnamese Navy has been rejected by the Malaysian Minister of Transport, Hishammuddin Hussein. Passengers were of 14 different nationalities: Among them were 152 Chinese nationals, 38 Malaysians, 12 people from Indonesia and six from Australia.